Sept. 26 marks this year’s National Voter Registration Day. 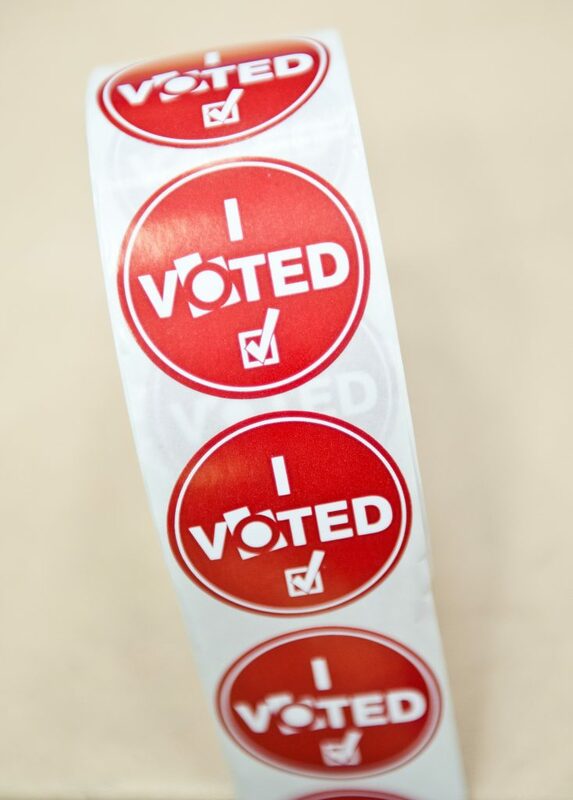 BYU political clubs hope to engage students with a voter registration drive (Angela Decker). National Voter Registration Day is Sept. 26, but many millennials won’t remember to register until it’s too late. 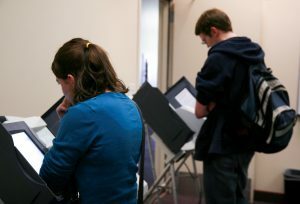 According to the Campus Voting Project, 21 percent of young people ages 18-29 weren’t registered to vote for the 2008 election because they missed the registration deadline. Six percent didn’t know how or where to register. The BYU College Republicans group and BYU College Democrats group are working together to combat statistics like these. President of the Republicans group and political science major Samantha Frazier said she wants to change the lack of political involvement among college-age voters. “Millennials are one of the largest demographics and they’re just not coming out to vote. 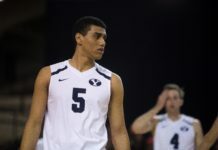 I think it’s time to change that and we’re starting here at BYU,” Frazier said. The campus Republican and Democrat groups are teaming up to host a voter registration drive in anticipation of the upcoming special congressional election. The drive will take place on Sept. 27, Sept. 29 and Oct. 4 from 11 a.m. to 4 p.m.
Frazier hopes this event will engage students and show them the registration process is simpler than they might think. “We’re trying to streamline the process as much as possible so that students at BYU can make their voices heard and we can actually engage this great demographic that traditionally is one of the least-engaged demographics,” Frazier said. Democratic congressional nominee for the Utah 3rd district Kathie Allen said college-age voters have an incredible potential to impact elections, especially in the upcoming special election. Allen said she feels it’s important for college-age voters to get involved in elections on every scale. Vice President of the Democrats group and political science major Nathan Hogan echoed Allen’s sentiments and said he also feels it’s important for students to get involved, in part because there’s bound to be some connection with politics in any area of study. “No matter what field you’re going into, I feel like every field that you’re studying has some way that it connects to politics, even local or national,” Hogan said. Both Hogan and Frazier said they feel BYU offers so many different ways to get involved and informed about politics. There are approximately ten clubs on BYU campus geared towards politics, covering various niches and themes. Hogan and Fazier said these groups encourage students to find their niche and make their voices heard. 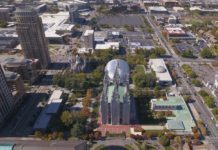 Heading into the special congressional election, candidates Curtis and Allen said they are employing special efforts to engage with these college-age voters who have special interests and the potential for major impact in political arenas. John Curtis, current Provo Mayor and Republican congressional nominee for the Utah 3rd District, said he utilizes social media to engage young voters. “We’ve had a lot of fun with social media. During the campaign we’ve had ‘ask me anything sessions’ where we’ll have thousands of people tune in for a 30-minute session,” Curtis said. Curtis said these 30-minute sessions are a great way to engage large masses of people in a short amount of time. Allen said she is also working hard to engage this important demographic of young people by empowering millennials to realize the power in their hands to change the course of America. “I just look to you for hope. I think you’re the hope for the whole future,” Allen said. Allen said she hopes to find unique and interesting ways to help students feel involved in government matters and make use of their power as voters. For example, creating a “millennial town hall” where students can be heard. Frazier said she feels college students need to get involved in the voting process, especially if they are unhappy with the current political climate. “We don’t have a right to complain about (politics) if we have this right to vote and we don’t exercise it because that’s how things change. It’s a really cool power we have, so why not use it?” Frazier said.